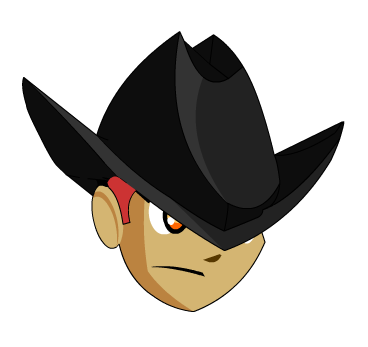 Description: A protective hat that was once worn by ChickenCowboys but now resides on your noggin. A parody of the antagonist Darth Maul from Star Wars, and country music artist Garth Brooks. Thanks to Erick Tien and Swampert1212.